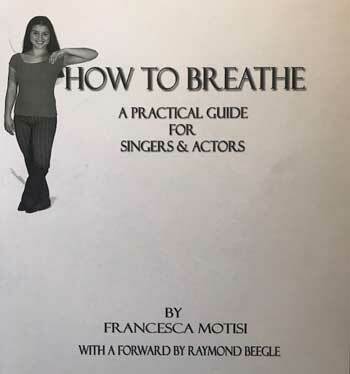 As a Music Conservatory Voice Major, “breath support” was a frequent topic of conversation among singers and wind players alike. We all knew the importance of breath management, but did not know what to do. Most teachers rely on the “feel me then copy me” method which keeps the mechanics of breath support shrouded in mystery. If by chance the student experiences efficient coordination, the only frame of reference is a brief physical sensation, which can rarely be duplicated consistently. In 1983 I was finally able to study with Master Teacher, Marion Cooper. At my very first lesson she gave me a booklet which contained what she called “breathing exercises” and I was told to do them every day. After years of talking about breath support I finally had a practical system to make my body respond automatically. These same exercises (originally from the early 1920’s) are the foundation of Breathing Bootcamp which I developed over the next 30 years. My own work in The Alexander Technique as well as with physical therapists and World-class fitness professionals has evolved into the dynamic program individualized to meet the needs of each student that I teach today. My mother suffered from COPD and in speaking to her Doctors at The City of Hope, Los Angeles, I was told that this same program would be invaluable to those with Asthma, Emphysema, and early stage COPD. Breathing Bootcamp facilitates the patient being an active participant in their medical outcome. Since then I have been referred by pulmonary physicians, ob-Gyn’s and physical therapists in addition to the singers, public speakers, actors and wind players that I already worked with. We all know that babies cry loudly and for long periods of time without ill effect. That is because they automatically breath low (diaphragmatic) and expand sideways (inter-costal). If you compare that to a runner, who breathes up high (clavicular), you can easily see the difference: A runner is always trying to “catch” his breath, unlike a baby or an Opera singer who place a great deal of stress on their vocal cords but don’t seem to tire out. The muscles of respiration are in 3 layers in varying directions. Each needs to be strengthened independently and work in tandem through efficient coordination. Depending on your current health and fitness status I will design a program to specifically address your needs and goals. Beyond strengthening the “core”, we will focus on posture (absolutely necessary for maximizing lung capacity), and on interrupting cues from the vagus nerve (essential for those who habitually breathe clavicularly, are prone to hyperventilation, or suffer from performance anxiety/stage fright). Once you have mastered the proper coordination of sterno-costal-diaphragmatic-epigastric respiration we will increase the difficulty as your body permits to build stamina and endurance. Consistency over time is the only way to develop kinesthetic memory. Thinking about it won’t help, only doing it will. Therefore the key to success is the commitment to do your program daily, no excuses. Quality of tone, greater extremes of dynamic control, development of range, intonation, phrasing and ease during long passages all fundamentally require coordinated breath management. Without it, one compensates with other muscles, often the underlying cause of vocal fatigue and injury. For singers and wind players who value beauty of tone and effortless production, transformation is possible through muscular respiratory realignment—only the skillful control of exhalation allows for the natural expression of the true artist to emerge. In other words, without technique or mechanical mastery over your instrument you won’t be able to do it, no matter how great an artist you are. All lessons to be held at the student’s home by appointment. $125 initial lesson, $80 thereafter. 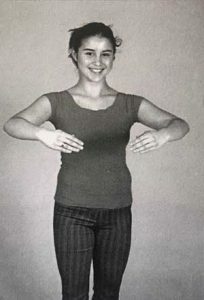 Balancing and integrating the muscles of the head, neck, pelvis, and shoulders is essential for a voice free from tension. Overcoming cues from the vagus nerve is fundamental to a relaxed and confident presentation. Teaching the body the inner coordination of respiration anchors the speaker and his voice thus preventing vocal fatigue and injury. Moreover, a coordinated and strong breath management system that has become second nature alleviates any physical response from nerves, stress, or anxiety, allowing the speaker to give emotion and nuance to his words. Posture and core tonicity are essential in maximizing lung capacity and efficiency. The lungs are the organs of respiration and carry oxygen from the air to the blood and pass carbon dioxide from the blood to be expelled on exhalation. Consequently improving lung function is a product of increasing or “budgeting” exhalation. During exhalation a vacuum is created causing the air to rush in automatically. Good exhalation is therefore vital to good inhalation, while good inhalation is the result of good exhalation. Inhalation is involuntary and instinctive. Breathing Bootcamp coordinates, strengthens and realigns the “core” as well as the musculature of exhalation which inevitably leads to better inhalation. Shortness of breath or shallow breathing is a product of using only the top portion of the lungs and not exhaling completely—taking a breath on top of a breath, like a bellows. This can be avoided by learning to use the front, sides and back of the lungs while keeping the diaphragm lowered. As with any new activity, please check with your doctor. All lessons to be held in the student’s home by appointment. In order to measure results, build momentum and maximize outcomes by changing habits, an 8-lesson program (2 lessons per week for 4 weeks) is required. The cost for this package is $1000. Follow-up lessons are $85 each on an “as-needed” basis or as recommended by your physician.